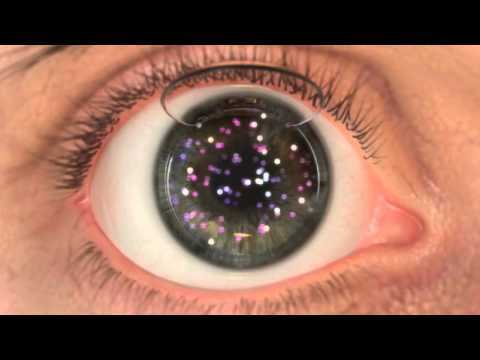 Optilasik is a customized laser ablation, specific, tailor made to each individual eye. The question is, though, if your eyes are as unique as you are, why should they be treated with the exact same procedure everyone else gets? If you are thinking about laser vision correction, choose the procedure that was designed to work with your eyes unique attributes. You have EX500 OptiLasik. WAVELIGHT EX500 is the fastest and safest Excimer Laser workstation introduced for the first time in this region by us. Though there are various machines available for Lasik, EX500 is the fastest workstation trusted and accepted worldwide. example, a patient with 10 diopters of error will need to fixate for a mere 14 seconds!! Besides, the speed prevents the corneal flap from getting dehydrated thus optimizing the results manifold. Increased efficiency through wavelight algorithm and the faster laser head results in less discomfort for the patient and optimized results. With this machine we have the capability to correct –1 to –12 diopters, from +1 to +6 diopters and up to +/- 6 diopters of astigmatism. This is the only system that is capable of correcting plus powers, cylindrical powers and high minus powers. Though this is designed to correct all refractive errors accurately, in very high powers, there may be small residual powers after the treatment due to limits of corneal thickness and wound healing response of the eye. Along with the excimer laser system a high precision integrated diagnostic system optimizes the vision correction. The Wavelight analyzer devices delivers highly accurate measurement to avoid the risk of false treatment. If you want the best possible laser Vision Correction, then blade free Femto Optilasik, featuring the Wavelight FS200 Femtosecond Laser, is an excellent choice. Traditionally, doctors have used an instrument called a microkeratome for the creation of corneal flaps. The microkeratome is a hand – held blade that moves across the eye, cutting the corneal flap as it goes. However, it simply can’t compare to the precision and accuracy of a laser. While LASIK is extremely safe, if complications do occur the microkeratome is most often the cause. The blade free method, by contrast, enables your doctor to create your corneal flap without a blade ever touching your eye. The blade free Method can only be performed using the Femto second laser. The Femto Second laser Method which is done with FS 200 laser is a 100 % blade – free approach to creating your corneal flap, the thin flap of tissue that the doctor folds back in order to perform the Lasik procedure. FS 200 is the most advanced and fastest among all blade free options. If you’ re looking for blade- free to virtually eliminate any microkeratome related issue, the answer is yes. The blade free method also delivers outstanding visual results. More patients achieve vision that is 6/6 or better when the Femto Second Method is used. And patients report better overall quality of vision, particularly in terms of their ability to see well in low light, such as at dusk or at night. With the blade free method, tiny pulses of laser light in one quadrillionth of a second each, pass harmlessly through the outer portion of your cornea and form a uniform layer of microscopic bubbles just beneath the surface of your eye. doctor folds back in order to perform your LASIK procedure. The exact dimensions of this layer of bubbles are determined by your doctor based on what’ s best for your eye, and are computer controlled for maximum precision – things that are not possible with a hand – held blade. The femto second flap creation process with the FS 200 just takes about 6 seconds. When it’ s time for your LASIK treatment to be performed, your doctor easily separates the tissue overlying these bubbles , folds it back, thus creating your corneal flap. Wavelight EX-500 Laser system has many new functions for fast, safe and reliable refractive laser treatment. And because it is specifically designed to work with Wavelight EX500 you can get expect a seamless experience.